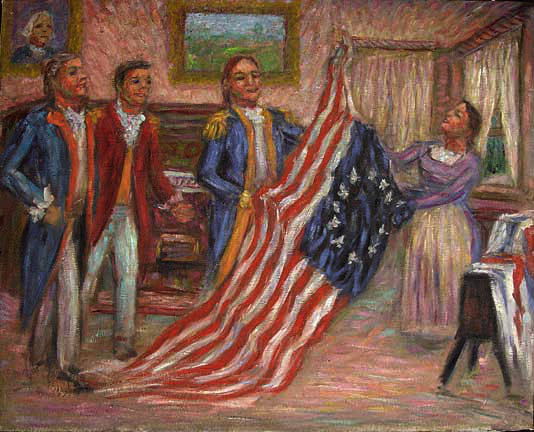 "Betsy Ross Presenting the Flag to Washington"
Betsy Ross lost two husbands to the Revolutionary War. She made the first American flag for George Washington. She presents it to him here in her upholstery shop. She also worked repairing uniforms, making tents and blankets and stuffed paper tube cartridges with musket balls for the Continental Army. I wonder who the periwigged fellow in the portrait in the upper left corner is..